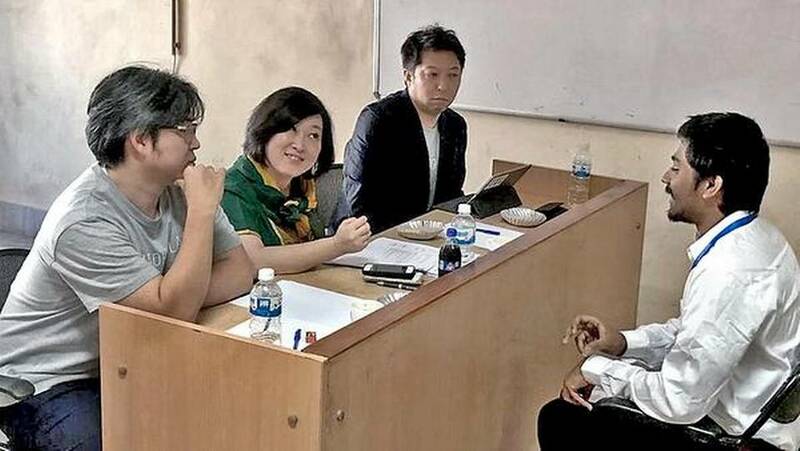 Four Japanese companies have come forward to recruit students from Visakhapatnam for jobs in artificial intelligence and other emerging areas in information technology in their country. After explaining about their requirement, they held preliminary interview for placement at GITAM (deemed to be university) here on Tuesday. The initiative has been taken under Look for Employment in Andhra Pradesh (LEAP) launched by the State government. “In the first phase, the Japanese companies will recruit 30 students for training to meet their requirement. If their performance is up to their satisfaction, they have promised to visit Vizag for next round of recruitment in September,” AP Innovation Society (APIS) CEO Winny Patro told The Hindu.APIS, he said, had also promised IT company leaders in Finland in getting suitable candidates in the State under LEAP. In response to promise to meet the shortfall under LEAP, top officials from AI Tokyo Lab & Co (a group company of Satudora Holdings), Denso International India Pvt. Ltd, En-Japan Inc and Global Asset Community Co. Ltd are camping in the city.